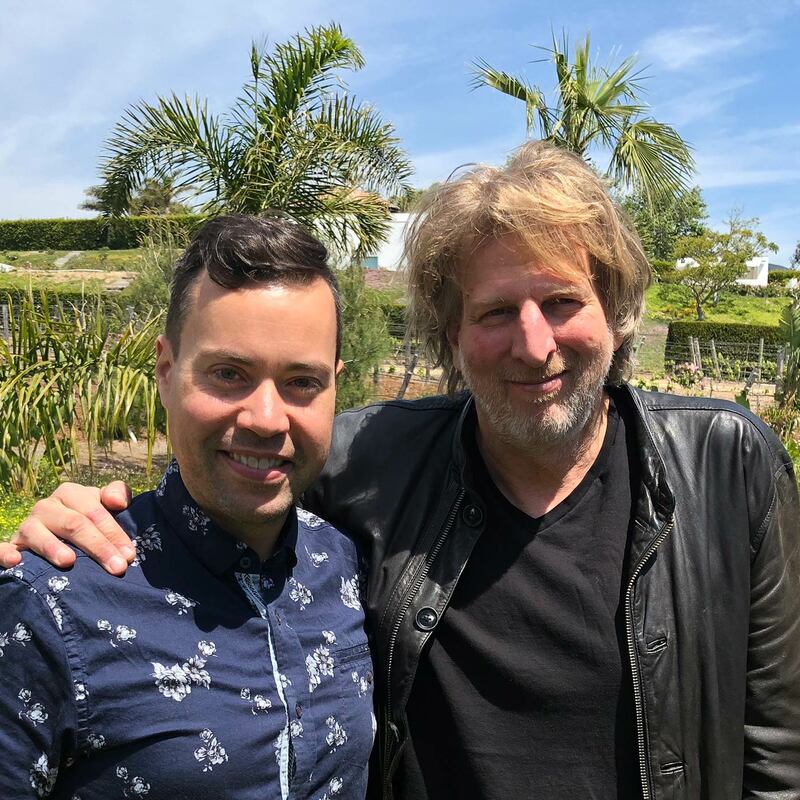 Barry Katz (@barrykatz) is a talent manager, producer, and podcaster (Industry Standard) who has discovered and represented some of your favorite comedians including Dave Chappelle, Whitney Cummings, Jay Mohr, Bill Burr, Wanda Sykes, Nick Swardson, Tracy Morgan, Darrell Hammond, and Louis C.K. Discover what it takes to be one of the best talent evaluators in America and how we can begin to hone the subset of skills we need to find the best in others. Uncover why most people, even high-achievers, overcomplicate winning, and what we can do to simplify our mindset while ensuring we’re doing the right type of work to master our craft. Explore some of the lessons Barry has learned from his clients, and how we can apply these lessons from comedy and high-profile careers to our own lives. How to really get your resume noticed (in show business or otherwise). Barry Katz is a talent manager, producer, and podcaster who has discovered and represented many comedians including Dave Chappelle, Jay Mohr, Anthony Clark, Bill Burr, Wanda Sykes, Nick Swardson, Dane Cook, Tracy Morgan, Frank Caliendo, Darrell Hammond, Whitney Cummings, and Louis C.K. He can also be found hosting the Industry Standard podcast. Barry joins us to discuss rejection, self-doubt, “complicating winning,” work versus talent, being broken, and what it takes to make your mark in the world of comedy. Barry’s years of recognizing the innate talent in people and helping them reach the upper echelons of show business give him some unique perspectives to share with us, so listen, learn, and enjoy! NetSuite by Oracle allows you to manage sales, finances, accounting, orders, and HR for your business instantly on the cloud from anywhere! Download your free guide — Crushing the Five Barriers to Growth — at netsuite.com/jordan! SmartMouth is the only activated oral rinse clinically proven to eliminate existing bad breath and prevent it from returning for a full twelve hours per rinse. Visit SmartMouth.com/Jordan to save $2.50 and get an in-depth, scientific analysis of how SmartMouth is able to deliver such incredible results! Talent manager Barry Katz began his entertainment career as a standup comedian, but the inconsistency was maddening. “I think that I love standup, and I loved doing it, and I was able to go on stage and get laughs,” says Barry. “I never had a problem with that. What bothered me was standup is almost like you’re a surfer and the audience are the ocean and the waves. There’s no two waves and no two audiences that are the same. Barry found he far preferred the nights when he’d book other comedians but he himself could stay in the audience, out of the spotlight, and just enjoy the show. One of those comedians was an 18-year-old Dave Chappelle. While Barry didn’t set out to be a talent evaluator, he seems to have a knack for spotting comedians who have the undefinable “it” quality that propels them into household name status — though he’s the first to admit that his ability is just as undefinable. The first time he remembers it happening was when a polite, young, soft-spoken comedian named Bobcat Goldthwait introduced himself backstage just before Barry was set to perform. The audience loved Barry, but Bobcat got a standing ovation. Listen to this episode in its entirety to learn more about how Barry helped Bobcat get more shows (and find a place to live), what connecting an 18-year-old Louis C.K. with Jerry Seinfeld did for the young comedian’s career, what Dave Chappelle remembers about their first meeting, how Sarah Silverman lost his car, overcoming adversities, what happiness means for Barry today, the psychology of rejection, how to really get your resume noticed, how most of us are guilty of overcomplicating winning to some degree, talent versus hard work, and much more. Click here to thank Barry Katz at Twitter!